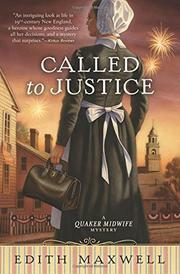 A 19th-century Quaker midwife faces daunting complications when a young woman is murdered. On Independence Day 1888, Rose Carroll of Amesbury, Massachusetts, is approached by a fellow member of the Religious Society of Friends who’s in desperate straits. Hannah Breed, who works at the Hamilton Mill with Rose’s niece, tells Rose that she’s pregnant, raped by a man she will not name. Before Rose can do anything to help, Hannah is shot dead at the fireworks Rose is attending with Dr. David Dodge, her beau. Although most people claim to have noticed nothing, Lester Colby, a manager at the Hamilton Mill, tells the police they should arrest Akwasi, a peaceful Quaker, merely because he’s a black man. Although Rose had helped Detective Kevin Donovan on another case of murder (Delivering The Truth, 2016), he’s annoyed when she persists in her belief that Akwasi is innocent, and she feels bound to take time from her duties as a midwife to help her friend. One of her trickier deliveries is that of Pearl Hoyle, Colby’s daughter, whose husband has given her gonorrhea, an infection that could have terrible consequences for the baby. Rose’s visits to Pearl give her more opportunity to study Colby, who has a nasty attitude and, according to his son-in-law, a lot of debts. Another millworker who lives in Hannah’s boardinghouse accuses her of theft, but Rose does not believe the gentle girl could have been guilty. Despite help from an excellent lawyer, Akwasi is arrested for the murder. Rose redoubles her efforts to prove his innocence while dealing with her difficult decision to marry David, whose family is wealthy but not Quaker. An intriguing look at life in 19th-century New England, a heroine whose goodness guides all her decisions, and a mystery that surprises.